Apple released the iOS 8 to public this September. The update was quickly followed by iOS 8.0.1 and iOS 8.0.2 to rectify the errors and bugs found in earlier build. However, there are still more than a few iOS 8 bugs that are being reported by a huge number of users. The latest update hasn’t so far seen a smooth run and it is expected that Apple will fix at least the major and more visible iOS 8 bugs once iOS 8.1 is rolled out. iOS 8.1 is expected to arrive this month and we hope that majority of the issues are fixed. In the meantime, we have outlined some of the commonly reported iOS 8 issues and their fixes to help you run through the OS smoothly. Don’t forget to let us know what bugs you are fixing and if you have found any solutions to those issues as it would help other users. Since the iOS 8 update, reports are pouring in about app crashes in the latest OS. We have to majorly rely on Apple and third-party app developers to see what is causing iOS 8 app crash issue. However, try to update any and all the apps in your App Store to ensure that your apps are updated with the latest iOS 8. Developers are sending out updates since the iOS 8 release and it might help the app crash issue too if you keep your apps updated. Battery life problems start emanating after every OS update for whatever reason. We had outlined some guides to help you get through the day using your iOS 7 powered devices last year, and now iOS 8 is behaving the same. The iOS 8 battery life issue, however, can easily be solved by following the simple tips that every smartphone owner should follow. These tips help you tweak some settings and turn off some features which ensure a longer battery life. Please check our iOS 7 and iOS 7.1 guides to get the tips that will help you have better battery life on iOS 8 too. 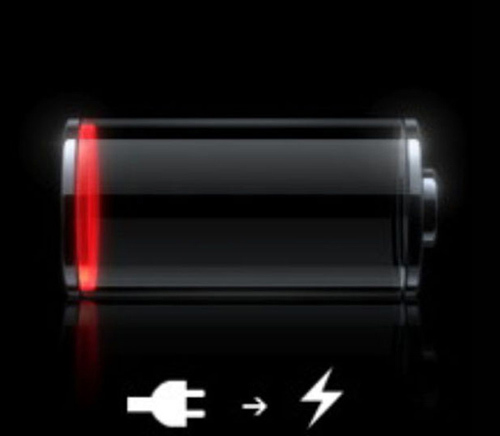 How to Improve iOS 7 Battery Life – Tips for Both iPhone & the iPad! iPhone 4s users haven’t had the fun of iOS 8 like everyone else as performance has lagged a lot for the smartphone. While the latest iOS 8 was compatible with iPhone 4s, it was recommended to not update it to the OS considering 4s is quite an old device and historically Apple’s OS become sluggish on older iPhone and iPad variants. Reduce animations and any pretty effects that may cause the slow performance. Update to iOS 8.1 as it is hoped that the upcoming OS build will bring in major bug fixes and performance improvements. To learn more about how to improve performance on iPhone 4s, read our guide to get the help. Like the app crash issue, iOS 8 Bluetooth problem seems to be omnipresent too. To fix the iOS 8 Bluetooth problems on your iPhone or iPad, try to reset as it has worked for a number of users. iMessage is also giving issues since the iOS 8 update. On one hand you might receive messages hours after they were sent, on other the new messages aren’t even marked as unread or read. There are simpler solutions to fix iOS 8 iMessage issues though. 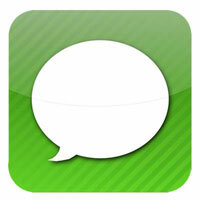 Try to toggle iMessage off and then back to on. The simple fix has solved bugs in the app for many. You can also find it working better after rebooting your device. If nothing helps, there is always a last resort on iOS devices and that is to reset your device. However, we are not letting you go through the pains of device reset as a simple network reset can also fix iOS 8 iMessage bugs. Your phone will reboot and you will have to reenter your saved network details. The device will reboot and ask you for the passcode. 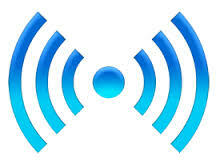 Re-enter your network credentials when the device is back up. Hopefully this solves the WiFi issues on your device, however, if it doesn’t then try to turn off the Wi-Fi Networking from Settings > Privacy > Location Services > System Services. Reboot afterwards. This problem is faced exclusively by iPhone 6 and iPhone 6 Plus users as the devices seem to get stuck in landscape mode after moving to portrait. While there seems to be no solution of this iOS 8 landscape bug, you will have await the iOS 8.1 update which has promised to fix all the major bugs. In the meantime, lock the orientation of your iPhone in the portrait mode from the swipe up Control Center menu to avoid any annoying experiences with stuck modes. Don’t forget to share your experiences with tackling the iOS 8 bugs so far.